Finally, please leave me a comment telling me which one of last week's posts you most enjoyed. If you battle to comment for some reason - please comment via Facebook. Thanks for the entries. The winner is Nicola Meyer! 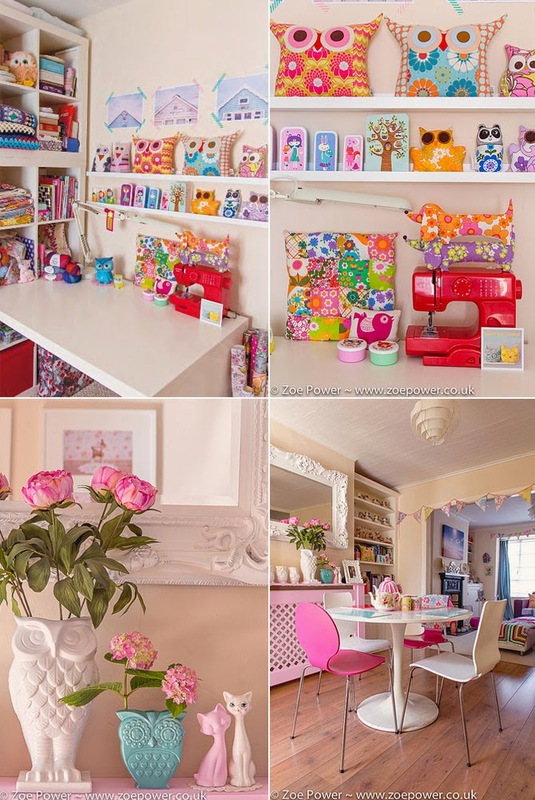 All the photos are from Zoe or Natasha's blogs - you can visit both their online spaces for more kitschy decor, inspiration and crafty projects. You can also take a little look inside the MollieMakes issue here. I shared the post from you Facebook page. It's so difficult to choose a favourite because you had so many interesting posts last week. The snail mail post was probably my favourite because there were just so many pretty things and I was also introduced to some new people. Hi Nadia, I enjoyed seeing your post about Decorex. It sounds like an amazing event ... sadly I missed it this time but I got a lovely idea of the cool and quirky displays from your colourful photos. I also think your Trinkets and Treasures sale sounds like a brilliant idea. I LOVE Spiga d'Oro! Hello there Nadia ... Love the blog !!! But the Seven things Decorex 2014 , was awesome for me , I attended my 1st Decorex show in Jhb many years Back , When I was about 15 , I even Ended up studying Decor & Design! I love all thing Textiles , Decor & Design & any thing handmade gets My vote !! !